We are delighted to announce that we have won a project with operator Nexen to deliver Active Caisson Management on its Scott platform. Active Caisson Management delivers a single sourced solution for inspection, cleaning, coating and planned and programmed maintenance and repair scheduling to drive cost efficiencies and maintain asset integrity throughout the lifecycle of a caisson. Pipetech has successfully completed the first stage to remove internal scale build up from a 42 inch produced water caisson on the platform, located 188km from Aberdeen, while it remained in operation. The scope also includes ongoing inspection and monitoring. Eric Doyle, managing director at Pipetech said: “This project is a fantastic example of our ability to mobilise quickly and remove stubborn scale which has been problematic to tackle. By carrying out the work while the platform remained in operation, we saved the valuable cost implications of shutting down production as well as a lengthy start up process. Following a site survey to identify the full requirements, Pipetech deployed a team of four to carry out the clean utilising its Aqua Milling® technology. The system has a proven track record in successfully removing the toughest of scale and blockages which other systems struggle with and has the ability to reach up to 600 meters in a straight line from a single point of entry. It can negotiate up to 20 directional changes. Pipetech is currently the only company licensed to use Aqua Milling® in the UK. The Aqua Milling® technology was deployed 27 meters above sea level and recovered back to the 1.5 inch entry point, mitigating any chance of blockages. In total, the project took eight days to complete with a full camera inspection conducted during a planned outage to further confirm the results of the cleaning. 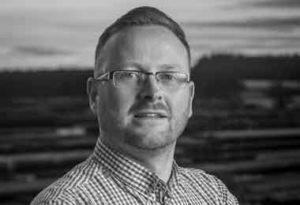 Pipetech, founded in 2001 and headquartered in Portlethen, Aberdeenshire, is focused on maximising production flow and reducing costs for its global clients. The company also has a base in Stavanger, Norway. 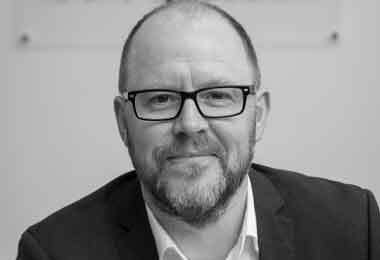 Pipetech has strengthened its senior management team with the appointment of Frank Andersen as general manager Scandinavia. 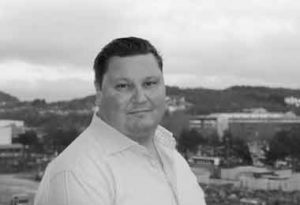 Frank, who brings more than 10 years oil and gas experience to Pipetech, will be based at the firm’s Stavanger hub. He joins the company from GS-Hydro Norge AS where he most recently held the role of business development manager and key account manager. Previous to this, he worked in various sales and management positions at three different IKM companies. Pipetech has seen its presence in Scandinavia grow in recent years and has successfully completed projects for key industry players including Statoil, ConocoPhillips, Wintershall, AkerBp and Preem. 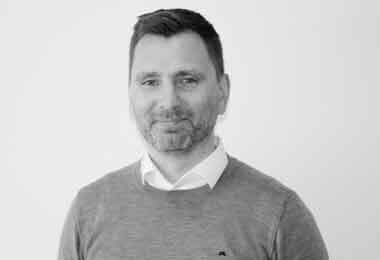 In his new position, Frank will be responsible for leading Pipetech’s Scandinavian business operations, as it looks to grow its onshore and offshore services. Pipetech recently announced the launch of Active Caisson Management, a solution which aims to drive cost efficiencies, whilst maintaining asset integrity throughout the lifecycle of the caisson. It involves a single sourced, full range of services including inspection, cleaning, coating and planned and programmed maintenance and repair scheduling. Founded in 2001, the company’s sole focus is expert integrity solutions for offshore and in industrial services. Pipetech has an experienced, nimble and responsive team which mobilises rapidly to tackle flow and blockage problems to maximise efficiency and prevent downtime of oil and gas assets, industrial power plants and refineries. Pipetech has launched a new Active Caisson Management service following a number of recent projects with North Sea operators. Caissons are prone to damage from fatigue and erosion, which can lead to defects and wall failure resulting in a knock-on impact on production and safety, costing the industry millions of pounds every year. Pipetech’s Active Caisson Management solution aims to drive cost efficiencies, whilst maintaining asset integrity throughout the lifecycle of the caisson. It involves a single sourced, full range of services including inspection, cleaning, coating and planned and programmed maintenance and repair scheduling. The company has already delivered a number of caisson projects with Repsol Sinopec Resources UK, Statoil, Aker BP ASA and Nexen Petroleum UK Ltd.
Eric Doyle, managing director at Pipetech said: “Caissons are an essential structural element in oil and gas production, but are highly at risk from erosion defects and damage, particularly around the sea surface area. We have several years experience in caisson cleaning so understand the value a proactive integrity management plan can offer and recognised the need to take our existing service to the next level. Caisson failures have been recorded as the cause of numerous shutdowns, with structural failures leading to dropped objects. Clamp repairs are time consuming, expensive and in many cases can result in the defects occurring in new areas on the caisson. Pipetech’s Active Caisson Management solution addresses wall thickness and defect issues with integrity in mind, significantly reducing the likelihood of failure. Pipetech, founded in 2001 and headquartered in Portlethen, Aberdeenshire, is focused on maximising production flow and reducing costs for its global clients. The company also has a base in Stavanger, Norway and has experienced a successful start to 2018 with more than £1 million of contracts secured. At Pipetech we make it our mission to ensure our clients have the absolute peace of mind that their issues are in good hands and will be solved with high speed and high quality. At Pipetech we make it our mission to ensure our clients have the absolute peace of mind that their issues are in good hands and will be solved with high speed and high quality. So it makes me particularly pleased to announce that we have just been recognised as meeting the requirements of two international Management standards – ISO9001:2015 and ISO14001:2015. What do these standards actually mean in practice? 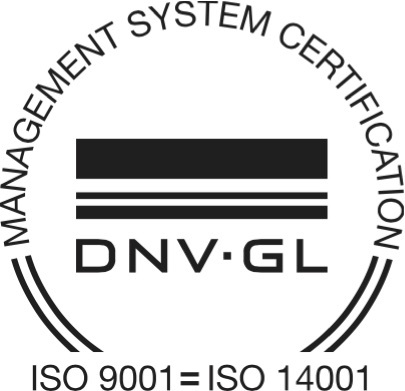 Well, the first of these, ISO9001, is an accreditation for Quality Management Systems. While we’re very proud of the team’s hard work in achieving this recognition, I have to say that the processes and standards that the accreditation values are ones that we have lived and worked by at Pipetech since day one. If you take a look at the principles of ISO9001 you’ll see that the first one is “Customer Focus”. This demands that organisations should understand current and future customer needs, meet customer requirements and strive to exceed customer expectations. At Pipetech our fundamental drive is to ensure our clients receive a service like no other. And we weave this commitment into the daily specifics of what we do for our clients. For example, we have always focused on quality objectives for our clients – we believe our customers should have the best possible choice of solutions and direct access to the highest-quality service in industrial process system cleaning. This latest 2015 update of the ISO9001 standard also requires organisations to assess risks and opportunities, something that we have always taken particular care to do at every level and in every area of our business. In fact, we measure ourselves by our code and commitment to our clients – Cleaner, Faster, Smarter. Looking now at the second standard we have achieved, ISO14001, this is designed to recognise exceptional performance in the area of Environment Management. Why is this such an important accreditation in our field? It matters because it reflects the work organisations do to minimise how their operations negatively affect the environment. It shows how serious we are about improving resource efficiency and reducing waste. Most importantly of all, it demonstrates the value we place on continually improving our environmental performance. We set our own targets and performance measures, and strive to meet those goals, and to monitor and measure the situation in future. So although these are proud achievements for Pipetech, in many ways it’s also very much “business as usual” but we must now strive to improve further. These certificates reflect the everyday quality of the work we do and, the very high levels of service in industrial process system integrity that every single one of our clients can expect from us. The annual event is held in Stavanger, with a focus on topics of smart technology and ongoing demands to meet environmental regulations in the industry. Managing Director, Eric Doyle, will speak at today’s Produced Water Management Conference. The annual event is held in Stavanger, Norway, with a focus on topics of smart technology and ongoing demands to meet environmental regulations in the industry. Eric will join co-speakers in the Best Available Technology Session, where he will be presenting the benefits of the Deep Water Cleaning System (DWCS) and it’s unique method of removing costly blockages on produced water pipelines, manifolds and trees. The DWCS was previously deployed in a £1.2 million campaign by a major operator to successfully clear a blockage in a subsea manifold in a development in the Norwegian North Sea. With around 140 delegates expected at today’s conference, Eric will join key personnel from the industry, the academia and the regulators in developing solutions for a more environmentally friendly and sustainable industry. in both Aberdeen and Stavanger. We are delighted to announce that we have bolstered our team with senior appointments in both Aberdeen and Stavanger. Gavin Booth joins the company as Sales Manager for UK and Holland while Thomas Karlsen is welcomed as Sales Manager of Scandinavia. The duo bring more than 20 years of oil and gas experience to Pipetech. 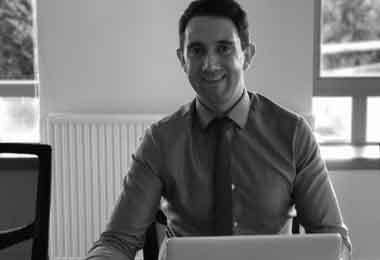 Based at the company’s Aberdeen premises, Mr Booth will be responsible for driving key accounts for the business, working closely with the operations team in Aberdeen. He has held several senior positions within the energy industry including hire division deputy manager at ACE Winches and key account manager at ATR Group. 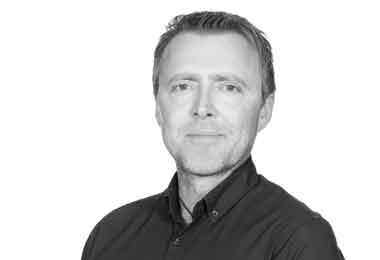 Joining Pipetech’s Stavanger team Mr Karlsen brings a wealth of oil and gas experience, most recently in the role of sales engineer at Quickflange for more than five years, working with key operators including Statoil, Conoco-Phillips and Aker Solutions. He will be responsible for the company’s growth in Norway, Denmark and Sweden and already boasts an extensive local network in the region as well as a breadth of sales experience. Eric Doyle, managing director of Pipetech, said: “Gavin and Thomas are both key appointments for Pipetech as we continue to expand our operations across Europe. They both bring invaluable knowledge and experience of the oil and gas industry at a vital time for our business and we look forward to seeing the results we know they’ll produce. Pipetech launched in 2001 and has bases in Aberdeen, UK and Stavanger, Norway. The experienced and responsive team is focused on solving costly flow and blockage problems for oil and gas assets, industrial power, processing plants and refineries. All solutions are aimed at maximising process flow and reducing costs for customers. To help operators avoid resorting to the costly and risky removal and replacement of pipe work affected by unwanted residues and debris, pipeline and process systems cleaning services are now using innovative new technologies to quickly clean and restore pipework back to normal, workable state. Pipetech, the independent pipe and process cleaning solutions specialist based in Aberdeen and Stavanger, is expanding its services and equipment portfolio to tackle flow and blockage challenges at oil and gas assets and industrial power plants and refineries. The company’s pipe cleaning services now go beyond traditional pipe and process systems to overcome stubborn and potentially harmful cleaning problems in tanks, vessels and other system elements, and align itself more directly with client demands and challenges. This will encompass the use of chemical cleaning treatments for small bore piping for example, for use in industrial sites as well as targeting flow and blockage problems in subsea and well environments. The company is enhancing its business strategy to be seen a single-source solution for pipe and process cleaning challenges. One such innovation is the development of a novel Deep Water Cleaning System (DWCS) (figure 1) for subsea infrastructure. It recently secured its second deployment to clean a blocked 2” pipeline in a West of Shetland asset. It follows a successful test run at Pipetech’s facilities where the pipe’s conditions were replicated and the blockage was safely removed using the DWCS. The DWCS was previously deployed in a £1.2 million campaign by a major operator to successfully clear a blockage in a subsea manifold in a development in the Norwegian North Sea. The DWCS comprises a range of topside and subsea equipment. A high-pressure water supply from topside, vessel or rig is routed via a downline to the DWCS and its unique hose and nozzle arrangements. The innovative water-jetting technology uses no chemicals, only water, to clean any subsea system such as manifolds, trees and pipelines to its original state thereby reducing downtime. For common problems, such as a stuck pig, the DWCS eliminates the need for intrusive and prolonged repairs, often involving the cutting of pipes or hoisting devices to recover pigs, by simply flushing it away. Pipetech continues to deploy its conventional cleaning technologies such as the Aqua Milling® system (figure 1). This is extremely efficient at cleaning pipework without causing any damage or affecting integrity. The advanced, remotely operated system is often the only alternative to replacing piping systems and can be achieved at a fraction of the cost. The company was recently commissioned to remove unwanted pipe debris from the pipework system of a gas terminal. After a detailed feasibility survey, Aqua Milling® was used to clean the entire 210 metres length, comprising 48 directional changes and ranging in diameter from 6” to 20” I/D. The technology has a proven track record for its ability to reach up to 600 metres in a straight line and if including bends, can negotiate around fifteen 90o degree elbows or 20 directional changes, often where pigging tools are unable to negotiate. It provides an unrivalled 360° clean of the inner pipework walls using a selection of 2,000 fixed nozzle configurations to suit the level of cleaning required, the size of the pipework, and the type of debris to be removed. The cleaning technology can also be used for waste removal and cleaning inside process vessels and tanks. In addition, the Pipeline in Operation (PIO) unit can clean inside pressurized environments. Its objective is to tackle flow and blockage problems to maximize efficiency and prevent downtime at oil and gas assets, industrial power plants and refineries. Prior to this and any project, Pipetech technicians and specialists perform a sample test on a section of pipework to be cleaned (figure 2). This normally involves a boroscope camera inspection to ascertain the scale and severity of the scale or debris to be removed but is not always a pre-requisite. Thorough examination is also used to select nozzle configurations, pressure requirements, hose deployment and rotational speed to achieve the optimum cleaning solution for efficient project execution. An Entry Point Alignment Tool (EPAT), designed by Pipetech, was attached to the flange at several points along the pipe with a blind flange attached to the opposing end. This assembly acts as a manifold to control and safely distribute recovered waste and ensure the Aqua Milling® hose and nozzle are fully enclosed (figure 3). Using pressure, high flow and a twister system to spin the hose, the nozzle can typically rotate between 10 rpm to 300 rpm and can apply high pressure water at approximately 950 bar applying around 35 m/s of water velocity (around 200 litres of water per minute) at the nozzle exit with a density of 1,000 kg/m3 on the inside of the pipework in opposing directions without inflicting damage. Aqua Milling® nozzles, with rear facing jets, use both sea and unsalted water to remove debris from the line. The technology offers different configurations of forward facing nozzles with side facing, polishing forward facing cuttings heads to remove blockages. Wastewater is then removed through the EPAT device. The speed of operation can vary from one inch to one foot per minute depending on the severity and scale of the material or debris to be removed. Typically, two runs of the Aqua Milling® process are performed in each direction on each spool or pipe section, However, only one deployment in and one outward is typically good enough for ultra-sonic inspection data to be achieved. If any residue remains after inspection a repeat run can be carried out and a final inspection made (figure 4). The closing inspection revealed that the majority of pipework and elbows showed no or small traces of material remaining. This was then deemed intact and stable, and not sufficient enough to cause any consequential damage, such as plugging of the system strainer or anti-surge valve. Significant cost savings and environmental benefits were achieved for the client by eliminating the need for chemical flushing due to the significant cleaning performance of Aqua Milling® (figure 5a and b). In another project using the Aqua Milling® system, Pipetech cleaned residual scale from a 24”, 250 metre length of offshore export line prior to ultra-sonic inspection. This involved negotiating ten bends of varying diameters and concentrated cleaning of up to 80 metres around the splash zone. The line was cleaned at an average rate of 20 metres per hour with a final clean using a polishing side bias nozzle. Pipetech adopts a step-wise procedure for complex pipework such as this, monitoring friction loads throughout all operations to ensure the hose and nozzle can easily be retrieved. The project was completed in seven days. The technology can also be used to remove problematic corrosion. In one such project, Pipetech reacted to a quick call-off to remove corrosion from inside three sounding lines, which led into ballast tanks. This was restricting the inside diameter of the pipework, which could potentially create a blockage. Other traditional systems had previously attempted and failed. The line was accessed via 2” restricted entry point opening to a 12” inner diameter pipe, comprising of a number of complex bends. Within four hours, Aqua Milling® specialists had polished and returned the full diameter of sounding line and the inner walls back to bare metal. Pipetech has also recently won a number of industrial services contracts, including its first contract in Sweden for a major oil refinery. This is the largest project in Pipetech’s history having cleaned various pipework systems across nearly 10km. The organization plans to continue its expansion into international markets across Scandinavia and Holland. Pipetech is focused on achieving industrial cleaning excellence and aims to provide a service and solutions package that is unparalleled. Use of the Aqua Milling® technology and the DWCS has reaped significant financial, environmental and logistical rewards for operators. What’s your education background? I attended Dyce Academy and went on to Robert Gordon’s University where I studied Construction Design and Management. I attended Dyce Academy and went on to Robert Gordon’s University where I studied Construction Design and Management. I later studied a Master of Science in Project Management through distance learning and graduated in 2013 after receiving a merit in year one. What did you enjoy most about university? In third year I decided to study in Copenhagen for six months through Erasmus exchange which I really enjoyed. I was working within the Copenhagen Technical Academy as part of a team of other students. It was very multicultural; working with other nationalities provided an insight in to diverse working techniques and experiences. We had to deliver a project from start to finish and it was a real test of our skills. Everything has to be considered, architecture, electrics, mechanics and deliver the project at the end. It was a brilliant experience and the hard work paid off as I was awarded with the best student in my year. I started working at Stewart Milne Timber Systems in 2007 as an assistant project manager. I worked on a lot of different projects so I was out on the road a lot, dealing with customers and visiting sites in the central belt. It was really good place to start because a lot of what I learnt there, I was able to take into roles later on in my career that weren’t based in construction. I was involved in finance and commercial aspects which I didn’t have any experience of before so I really learned my trade there. I joined Pipetech in 2014 as operations manager to set up the UK business in Aberdeen. The company is an independent pipe and process cleaning solutions specialist. It was a start-up then, so it was all hands on deck and I was excited to be part of something new. I enjoyed the feel of the smaller team and it was easier to see the impact my work made on every day operations. I got heavily involved in business development for the company while also managing the integration of Pipetech with its parents company, aligning the processes between Pipetech UK and our Norwegian counterpart. I’m responsible for managing all UK awarded work from inception to completion, overseeing every aspect of delivery. The company has grown rapidly in the last three years so it certainly keeps me busy! I work closely with clients to research and engineer a tailored solution for them as well approaching new markets for opportunities. No day is the same as we often receive very challenging work scopes, so it is my job to find the answer to their problem. I compile tender submissions and support on the execution of documentation, financial tracking and ensure work is delivered on time, to a high standard. We’re all about delivering excellence and there is no better feeling than seeing a job from start to finish and getting great feedback at the end of it. I work closely with our team in Norway and often travel there to meet with the operations team and work on new projects together, so it’s great to feel part of a wider team. I contribute to the development of new products and technology which is always exciting. I support from the inception phase, looking at different concepts, what’s already in the market and then go through the patent process. We’re all about finding new solutions and pushing the boundaries at Pipetech so if we don’t have the answer, we’ll find it. There’s a real buzz within the business as everyone is so passionate about what we’re doing which is why I love my job so much. I also enjoy the diversity of my job. Pipetech offers services across a number of areas including offshore rigs, gas terminals and onshore refineries so no project is ever the same. What is one of your career highlights? Within my first few months at Pipetech I designed and managed the fabrication of a bespoke pipework unit which is now regularly used to showcase the full capability of Pipetech’s solution offering. I was really proud of this work and it’s rewarding to see this project still used as an example in demonstration days to bring in new business. How did you end up in oil and gas industry? Being born and bred in Aberdeen, I was always keen to get into the oil and gas industry. My plan was to do a couple of years of construction and then move into oil and gas and that’s exactly what I did! There are a lot of principles from construction which go straight into oil and gas so it always made sense for me to transition at some point. I joined RBG, an oil services company which was later bought by Stork. I started as an assistant project engineer which, at the time, was actually a step-back for me but I knew there was huge potential to grow within the company. I worked hard and within four years I was operations manager for the company. How do you think the younger generation view the oil and gas industry? In the last few years with the lower oil price there has been a lot of negativity around the industry. Some people think unless you’re an engineer, there isn’t a place for you, but it couldn’t be further from the truth. The industry needs so many skills – HR, marketing, finance, there are many opportunities, it’s about finding the right one for you. What advice would you give to anyone looking to enter the industry right now? I would get yourself out there and look for the opportunities! Graduate programmes and apprenticeships are great because you’ll typically get experience in lots of different positions before settling in one. Also don’t be afraid to speak to people in the industry and attend events like Offshore Europe in September. You’ll see that oil and gas isn’t all doom and gloom, it’s an interesting industry so don’t discount it just because of the headlines you read. If anything, the challenging environment has spurred the industry to create better solutions and develop new ideas, so it’s a really exciting time to be a part of it. 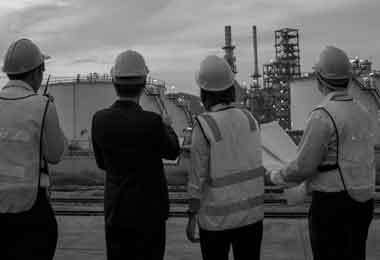 What do you love most about working in the oil and gas industry? I love how flexible it is as there is an acceptance to try different things, especially in today’s market. I think there is a perception that the industry is very traditional and old-school but there is a great deal of new technology being developed and new ways of working so you can learn so much entering the market at this time. In my current role, I love working with my clients and helping them to find a solution for their problem. We have great relationships with a lot of suppliers and small companies which help us to get to the end goal. How has Pipetech approached the low oil price environment? Being a small team, we can react rapidly to things, more so than larger organisations, which is a valuable advantage to have. We’re also lucky to have huge amounts of experience within our team, with people who have worked in pipeline and process cleaning for many years. Building strong relationships with our clients has proved invaluable as we work together on solutions so our clients know they can trust us. We provide a dedicated project lead for every job which is with the client from start to finish; they attend client meetings and then go on-site to complete the job so they have a full knowledge of the project requirements. For the client, this provides them with complete continuity and the knowledge that they know they jobwill be done cleaner, faster and smarter..
Pipetech set out ambitious plans to expand services to industrial markets and introduce subsea and wells to its offshore portfolio, following contract wins and the appointment of a new leadership team. 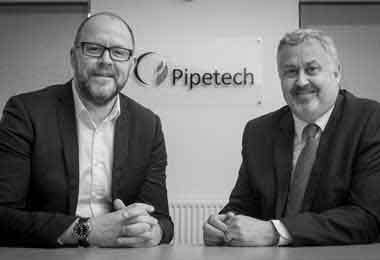 This month, Pipetech set out ambitious plans to expand its services to industrial markets and introduce subsea and wells to its offshore portfolio, following recent contract wins and the appointment of a new leadership team. Eric Doyle has been appointed managing director following management positions at several energy companies including most recently regional director at Aquaterra Energy. Alan Brunnen, former executive vice president at Aker Solutions has joined the company as non executive director. Both bring a wealth of industry experience which they are applying as Pipetech enhances its technology and solutions targeting costly flow and blockage challenges at oil and gas assets and industrial power plants and refineries. 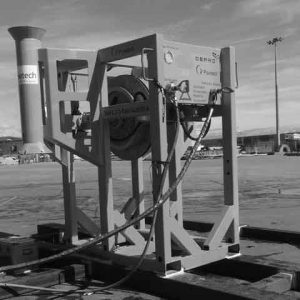 Most recently the newly developed Deep Water Cleaning System was deployed in a £1.2 million campaign by a major operator to successfully clear a blockage in a subsea manifold in a Norwegian North Sea campaign and there are plans to further expand its subsea capabilities in the coming months. The team is also developing a new wells downhole cleaning tool. Pipetech has also recently won industrial services contracts including process cleaning at a gas terminal in Scotland as well as the company’s first contract in Sweden for a major oil refinery. The organisation plans to continue its expansion into new international markets, particularly in Denmark, Sweden and Holland. Alan Brunnen retired from Aker Solutions last year after a career in oil and gas spanning more than three decades. He joined Aker Solutions in 2005 and was appointed executive vice president in 2011. He previously held various international managing director positions and was Chief Operating Officer at Stolt Offshore. 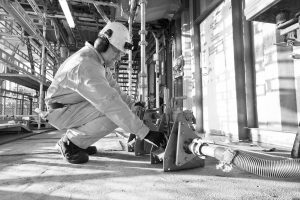 Pipetech has affirmed its reputation as a solution-driven pipe cleaning provider following a completed project on the Theddlethorpe gas terminal. 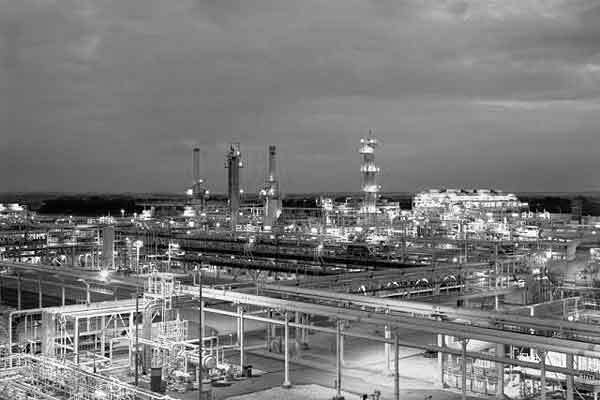 Pipetech has affirmed its reputation as a solution-driven pipe-cleaning provider following a completed project on the Theddlethorpe gas terminal. Pipetech was recently approached to assist in the removal of unwanted black lacquer from 48 pipeline elbows within 210 metres of compressor pipework, ranging from 6” to 20”, at the Lincolnshire-based gas terminal. The bitumen-based coating applied during the pipework manufacture had proven almost impossible to remove, even after 27 hours of relentless cleaning using a BJV system and chemical applications. After exhausting more traditional methods of cleaning, the operator had considered the alternative method of cutting out all 48 elbows and grit blasting the pipe prior to re-welding. However, upon recommendation, the operator took the decision to investigate deploying Pipetech’s Aqua Milling® technology for the lacquer removal. Before being awarded the scope of work, Pipetech conducted a series of trials on a 20” spool section removed from the compressor system. Further testing commenced to optimise working pressure, the speed of hose rotation and the correct nozzle configuration, which resulted in successful removal of the black lacquer in just 60 minutes. Pipetech mobilised its specialist engineering team and in just one week, the lacquer was removed from the entire system. The cleaning proved not only a success for lacquer removal but also the removal of mill scale and surface rust debris during the process, eliminating any need for a final chemical flush.